This is a unit on Market Economy in North Carolina and aligns with the NC Essential Standards. 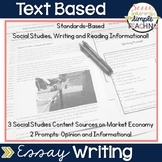 This product includes bulletin board header, I CAN statements, word wall words, and worksheets. I print this is colorful paper to add pop to my classroom boards! This is a PDF file. The Lesson includes a PowerPoint and 2 activities. The Zip File includes a Worksheet and Answer Key. Students can use the Worksheet to follow along with the Presentation. Follow Me to be notified of new teaching resources and great deals by clicking the star up at the top right by my logo. Great rubric used for a 12th grade Econ class! Students really enjoyed project, allows for them to make connections from content to real world situations. Also included in: The Whole Kit & Caboodle! 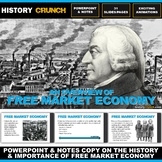 • Every Paid Resource From Mister Harms! Word Search covering the terminology that will be used when covering The Financial Markets and the Economy with Economics Students. There are 14 words total. 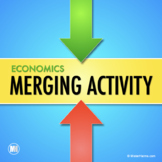 This can be used in conjunction with the Financial Markets and the Economy flash cards, crossword, and quiz/worksheet. socialstudieslessons.net lesson in which students play a competitive card game to generate knowledge about the creation of market economy and the Hanseatic League. 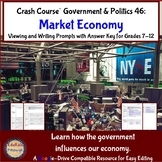 For a high school Entrepreneurship course, lecture notes, student outline, and test on the chapter "Market Economy and Other Economic Systems". Test has 33 questions -- multiple choice and matching. 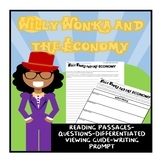 This is an activity that will work with students writing or typing. They are to research several articles concerning an entrepreneur's role in a market economy. All instructions are included in the word document. Document is completely editable. Thanks!